This is the second time that I have attended the Disney Social Media Moms Celebration and just like the first time, it was fantastic. Our first event took place at Disney’s Wedding Pavilion where we learned about Disney’s Fairy Tale Weddings & Honeymoons Platinum Soiree. We were greeted with champagne, just like at a wedding cocktail reception. Currently many brides are having a candy bar at their reception, so Disney laid out a candy bar for us to enjoy. Champagne and candy? That’s my kind of wedding! Previously I had only seen the wedding pavilion from the monorail, but it is gorgeous. I was surprised to see that the inside looked like a chapel, complete with pews. The glass windows framed the lush gardens and Cinderella’s castle in the distance. We even saw a real wedding, a renewal of vows by a couple who had gotten married at Disney World. The ceremony concluded with fireworks, confetti and the happy couple being whisked away in Cinderella’s carriage. How about this mode of transportation to make any bride feel like a princess? The next day we listened to fantastic speakers like Chris Brogan, a social media author and consultant, and Matt Jacobson, Head of Market Development for Facebook. Chris spoke at the Social Media Moms Celebration last year, so he knew that it was a savvy crowd, but I think Matt Jacobson was a little surprised by the depth and breadth of the attendees’ questions. We are social media mavens, Matt, we know what’s up. Susan Egan and Georgia Stitt entertained us with stellar music and song. The crowd couldn’t resist singing along with Susan (the voice of Meg) when she sang a few tunes from Hercules. When they weren’t entertaining us, Susan and Georgia spoke about how they balanced motherhood and their careers. The most inspirational speaker of the day was Rene Syler, journalist, author and former co-host of CBS News The Early Show. She blogs at Good Enough Mother. Wow, I can’t even begin to tell her story like she did, but in a short amount of time she had a double mastectomy and lost her job at CBS. During those years she learned so much about herself and just how strong she really was. Now she is inspiring other women to reinvent themselves and begin their life anew–it’s never too late. She was funny, authentic and engaging; our crowd gave her a standing ovation. But my time at Disney was not all work; there was plenty of fun too. One of my favorite things about the Disney Social Media Moms Celebration is the chance to meet Disney characters without crowds or lines. It was even more fun to dance with them at a Disney Junior party! My kids are big so it’s been a long time since I watched Handy Manny and I had never heard of Jake and the Neverland Pirates. But since we were there with my 4 year old cousin, my kids and I quickly got into the spirit of Disney Junior; before long we were shouting the pirate password “Yo Ho Ho!” along with all the little kids. We danced all night with Donald Duck, Daisy, Jake, Handy Manny, Special Agent Oso, Captain Hook and Mr. Smee . It was an inspirational weekend, full of knowledge and fun. I didn’t expect anything less; a trip to Disney World – either for fun or business (or in this case, both) – is always a first class experience. *Full Disclosure: I was an attendee at Disney’s Social Media Moms Celebration. While I paid for myself and my family to attend this event, it was at a greatly reduced rate. The event included a hotel room, some meals, park passes and special events. As usual, all opinions expressed are mine alone. P.S. 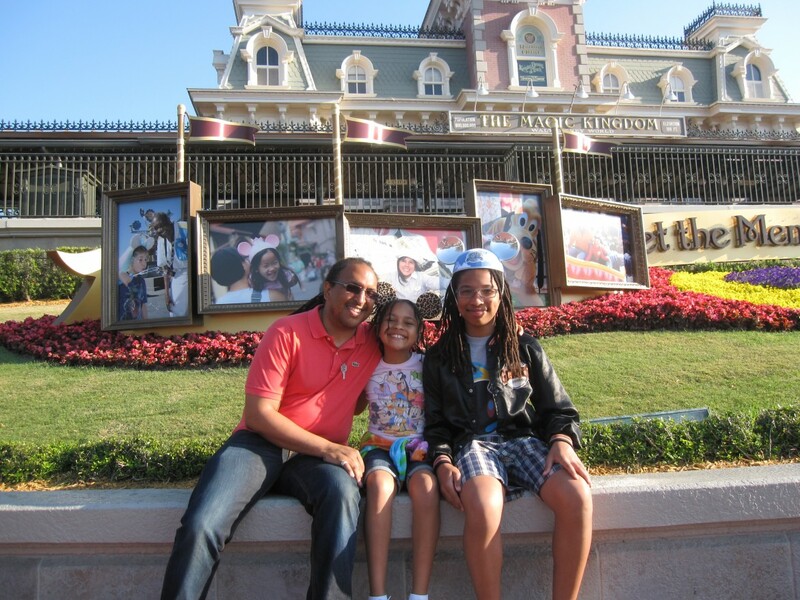 You may also like to read other blog posts about Disney World media trips. Dole Whips totally ROCK! I’m hoping to make a trip to Disney in May and a Dole Whip is a MUST! I’m so totally jealous. Looks like you had a fabulous time. Love the new FB profile pic. So many of the sessions sounded fabulous. I’m curious, which was your favorite. And why? My favorite speaker was Rene Syler because she reinvented herself and I do think that we have to do that in life…for various reasons and at different seasons in our lives. My favorite event was the Disney Junior party. My kids are too big to watch Disney Junior, but my 4 year old cousin was there. I haven’t posted about it yet, but it was on the set of Lights Motor Action (which was cool enough) and we danced with fun characters. I’ll post next week and you’ll see what I mean. It was fun! That looks FABULOUS!! I hate I missed all the fun!! It was great to (briefly) bump into you & your family at The Parks and on the Disney Junior dance floor. Shout out to the moms over 30 who can still “get down low” on the dance floor! Fun! Fun! Fun! Great pics. Glad your family had a good time. Sounds like it was a great trip and I’m sure that Packing app helped to make it even better! Yup Kalyn, the packing pro app was an invaluable tool for the trip. I am using it right now…packing for another trip to Disney. Yes, Amanda, it was great meeting you in person after reading your blog and chatting on Twitter!